UPDATE: We've since heard from another source that GAME is indeed shipping online orders for Captain Toad today, and that their high street stores will have stock for sale from Monday. 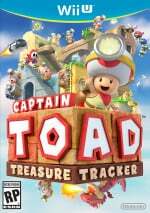 ORIGINAL STORY: While lucky North American players have been able to enjoy Captain Toad: Treasure Tracker this side of Christmas day, in Europe the plucky adventurer won't be tracking anything until next year. The Euro launch is taking place on January 2nd, which sadly robs a great many Nintendo fans of the perfect festive game. However, it would appear that UK retailer GAME is doing its bit to spread some Christmas cheer by shipping the game two weeks early. One of our staffers has received the email confirming shipment — with an "availability" date of 19/12/2014 — and we've seen other reports online, too. We'll update this post with visual evidence should the game actually arrive; there's a chance this is a simple computer error on GAME's part. We've contacted GAME stores on the high street and have been told that stock hasn't even arrived yet, so this appears to be restricted to online orders only. Have you also received one of these emails from GAME? Let us know, and also tell us if your copy does plop onto your doormat in the next few days. Id love it if it came out early in Australia too. It looks like the perfect game to unwind with after a big xmas lunch. Quite temepted to get a pre order in just in case. Would love to play this over Christmas! After seeing people saying they had received shipping emails from GAME I decided to place a pre-order last night. I got my shipping email from them this morning. My copy has been shipped from Game. I put my order in last night at 6pm. I posted about this on the forum yesterday. I don't think Game would break street date. People say they did for amiibo, but Nintendo themselves sent out those amiibo early too, so I'm guessing Game got some sort of official go ahead. Some people are saying this is a Game exclusive soft launch, with permission from Nintendo. That's awesome! Great funtastic little game! Very wise decision for Nintendo UK to allow this! Releasing a game the week after Christmas is completely stupid. Given this new release date people can get it as a Christmas present especially as loads of people still go for last minute shopping between 22nd and 24th. "Hey, Bevis, they like said Toad or something..."
"Hrrrngh, hrrrrngh, yeah, yeah! Their Toad!" I hope it comes to the eShop as well. While I understand Nintendo's decision to not bundle too many releases together on the same week, it was a bit of a stupid idea to ship this after christmas in Europe. It's not going to be a huge seller like Pokémon or Smash, but there are a lot of people waiting for this game and it would be a nice little last-minute cash boost for Nintendo before the holiday period. I'm glad to see that it's getting an earlier release, but I'm sad that it means I have to give GAME more of my custom. My girlfriend wanted to know what i wanted for Christmas. I said this but its out in January. I have just ordered from GAME. If it doesn't ship before Christmas i will cancel as its a few quid cheaper everywhere else. I hate buying from GAME too. They have it at £29.99 saying its got £5 off. But Zavvi/Tesco have it at £28. No thank you. I'd rather wait until New Year's than give GAME my money. @dinosauryoshi It's all @ThomasBW84's work! I just stole it. @Moose_4 I still had some reward points to use, so I was able to get it for just over £20. If it was only me looking forward to playing I would have waited until new year and bought from elsewhere, but my eldest daughter has been excited to play this. Having it early means she gets to play it over christmas break. Plus, with my reward points now spent, there's less temptation to order from GAME in future. @Pikpikp By all accounts, it would appear that this has been done with Nintendo's blessing. There are rumours that this is a soft launch. Either way, there's no way that GAME could sell physical stock on Monday without Nintendo's approval. Placed my order with Game just now, albeit reluctantly. Gotta have me some Captain Toad in time for Xmas though. I too have just changed my preorder to Game. Never a good idea to give Game any money really. Such a horrible place. But I'll make this one exception if I can get Captain Toad early. My confirmation email states that the game is available tomorrow, the 19th. So we'll see what happens. Wow. Pretty cool I think, it'll definitely please quite a few people to get it this side of Christmas! Maybe generate a tiny bit of extra hype for the game I think, it'll do it no harm anyway. I approve! For the extra tenner (at least) GAME usually charge, I can wait to pick it up from Smyths in the New Year. Yep, I bit. Wanted to go digital but at least this way it can go in my girls stocking! 2 birds, 1 stone and all that!! How are North American's lucky? We can't help it that it was released on it's given release date. Our release date wasn't luck-based at all. It's an odd promotion. No sign of early release on the Game website that I can see. Not saying I don't believe it's happening, just would've expected the retailer to be shouting about it if it was. Do they want to beat other retailers to our money or not? Just noticed that you can't pre-order it from Amazon... are the two connected? With GAME breaking street dates with this and Amiibo I wonder if other retailers will get a little cross? Don't care. The game's lazy and monotonous. It's not worth £30. It should be half that price and perhaps just an eShop download. Also, GAME are scumbags. £5 off and still more expensive than most places. This stifled release is going to annoy other retailers and consumers. @abbyhitter You got it earlier. @MrGawain As Damo said, this is being allowed by Nintendo. Probably as amiibo were since Nintendo themselves sent out all Wave 2 orders over a week early. It's not been available on Amazon for about a month. They dropped the price to £25, probably took a ton of orders and then took it down just incase they didn't get enough stock to cover them. @Peach64 Makes sense as the GC adapter issues must have damaged their reputation. I ordered mine from game collection when they had their 10% off sale day last week. It is already on its way. @OorWullie yea, probably the raunchiest caption I've ever seen, lol. My preorder with ShopTo has just been charged, so looks like the release has been pushed forward with all retailers. @Damo well @ThomasBW84 is a genius, I'm glad you stole it. GAME may not be the best retailer out there, but considering the alternatives, Amazon or Tesco, I'd rather spend my money with GAME than them. @Caress just off the phone with Shopto, they are pumping them out from tomorrow. Can get cheaper from other places so hopefully this isn't just Game doing it. @Achoo the guy is just miserable in general. I don't know why you would set up a profle on here and just slate everything Nintendo related. Thanks to Berlusconi and Renzi for the delay! Better get it on Amazon France/Spain/Germany if you want to play it earlier. I had only placed my order with the Nintendo UK online store last weekend and had not ordered with them before but looks like I will be cancelling it now. To me this always seemed like the perfect Christmas game and I can see myself playing it on Christmas day so will have to either get it Christmas Eve or see if I can ask for it for Christmas instead. 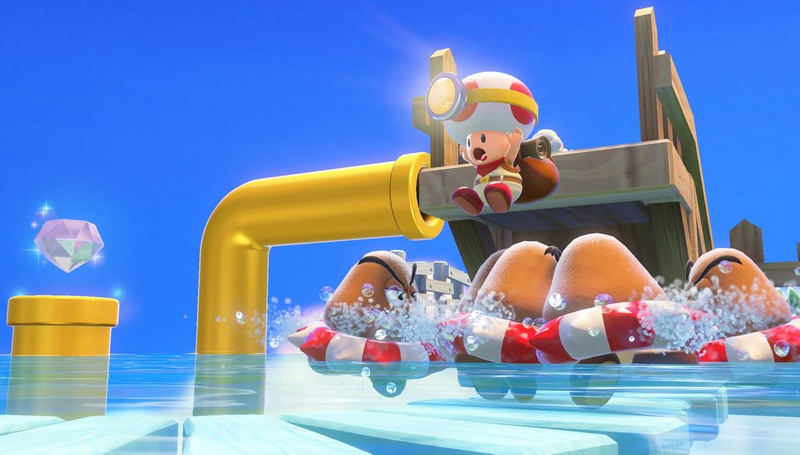 Captain Toad has been a game I have been really looking forward to so if I can get it earlier I certainly will! Does anyone know if there is a special edition release if this game? @PinkSpider There isn't one though a Super Mario 3D World save file does unlock special levels. @Grumblevolcano - Were you the one who ordered this online hoping to beat the street day w/ early delivery? Might have been Captain Gonru or Gerbwu. It was somebody who started w/ a G. Looks like they had the right idea whoever it was. If Ninty are ok for shops to release early, why can they not release it on eShop? @rjejr Yes it was me though I really wasn't expecting this early or even that it would exist outside of the internet. I have had an email from shopto.net where I pre-ordered and they say my order is being processed also! Woot woot! Edit: The order status is frozen on "Processing" and they usually ship within 5 minutes so I have a horrible feeling this is on hold. I really wanted this for the Xmas holidays though so hope it gets sent out! @Grumblevolcano - Still, it was a good plan. Hope you get your copy if everybody else is getting theirs. The manager in my local Game is well known to break the street date, If you pay in cash that is! Bit dodgy, but I've had countless games a week early. You guys come up with some of the best taglines. Damn it I Pre-ordered from Amazon, but it was only £25. Chances of the, shipping it early, slim to none. @BakaKnight Italians are not lazy, just smart. Breaking street dates is not cool. The only reason they did this was because they knew they had a hit on their hands and didn't want to get stuck with inventory after the holidays (once everyone is done buying for the holidays)... I wish they would fine the stores that do this. They didn't even bother to hide the fact that they were breaking date... Scandalous. @Platypus101 First of all it sounds like Nintendo is actually behind this, but secondly, why would any fan want to see this game held back until next year? I have mine pre ordered through Shopto and GAME. Neither have dispatched. Pathetic. Ordered my copy today hopefully I will have it for Monday! The only way to get stock for the 2nd is to have it for the 18th. It makes me wonder what NOE was thinking with the release date. I always felt the January date was down to NNP ending then and due to the small DL size many would want a digital version. In that case they could always have taken the weird decision to delay the eShop release...but instead we're left with GAME being thrown a bone and the rest of Europe wanting mass street date breakage. I'mbuying it digitally, yet there's no preordering the code yet from them. To echo some of the above, I just received a shipping notice from Shopto saying it was on the way. I thought it was odd that they shipped my pre-order today. I'm still busy with Smash Bros so it's kind of early for me but hey, at least I can play it over Christmas. That's a bold move Cotton.. Such a better cover than the NA version. Went to my local Game store today (Braehead) and they were able to show me the game! Placed a pre-order with the store and cancelled my online order as it still hadn't been sent, so I'll def have it on Monday! Really pleased about this news! @Peach64 Makes sense as GAME is Nintendo's Official retail partner in the UK. @Platypus101 I agree stores shouldn't break the release date, BUT in Italy such date got even postponed a week later cause most stores found hard to manage the stock of a new game the 2nd of the new year, a problem that I didn't hear for the rest of Europe. MCV are now reporting it's all official. The Game's UK release date has been changed to Monday. "MCV has been told that all UK online retailers have now been given the nod to begin shipping Captain Toad as they see fit, ahead of the new UK launch date of Monday December 21st". @JaxonH is it not too easy tho? It looks a fun game, but 'too' easy!! I fear it will be beat inside a few days with under 100 mini levels!! @Emblem it's annoying as GAME are bloody rip off merchants! Always an extra £5 to £10 on items than everywhere else on the high street. Grainger Games are far better 99% of the time in my opinion. @RD74 No, it's perfect. Split into 3 books. Classic Mario difficulty curve. First book of levels gets you accustomed to the gameplay. Second book the difficulty takes a noticeable jump. Third will challenge you. And really, all of them can challenge you if you go for all 3 gems and the bonus challenge before getting the star. (which I always do, that's the whole is to collect the gems and complete bonus objective). If you played 3D World, and got a taste of the Capt Toad levels, you'll know what to expect. @Peach64 that post did come off as negative, but I have my reasons... it's not that I would like anyone to be left out of great gaming, first and foremost. When vendors break street dates, many a time store employees will pick up a few said "pre-release" items and scalp them... Not a favorite. Also, if Nintendo was behind this, why not just make a statement like "Happy Holidays UK"... It would have been just as effective. Amazon need to get on the case and post mine then! Argos are selling them today too in UK/Ireland should anyone want to pick it up! @electrolite77 They probably thought the gap between Smash and Captain Toad was too small (hence the January 9th original release) but then realised that Christmas is actually important in terms of game sales. Yeah I guess that was the logic but it didn't make sense at the time, if there's any time of year the market can absorb multiple releases especially with few third party releases. Then January 2 was a crazy date from a logistical point of view with offices etc being shut. I'm beginning to think NOJ set the original release date but NOE wanted-sensibly-to get it out earlier. Not that we'll ever know. I was going to wait until I could get it second hand but I'll buy a new copy now. Has anybody received their copy from Game (online) today? I'm still waiting for them to ship mine out. It's a Christmas present so I can wait. Im just getting a wee bit impatient! Especially when I see people buying theirs from various shops already. It's great they have brought the date forward, (got my copy this morning ) But Nintendo need to advertise the fact, People who don't read gaming sites will have no idea that is is out now, which is a shame, because it could be a christmas big seller. I've not had chance to play this yet, is there a time limit for each puzzle ? I would rather just go through each level at my own pace, to fully enjoy how beautiful it looks. JUST GOT MY DOWNLOAD CODE. Awesome! Edit - Not so awesome after all. Although my code has been sent to me, Nintendo won't redeem it yet! Now I have the fun of trying to change my Digital copy for a physical copy so I can put it in my girls stocking ready for Xmas!! Glad more & more people are getting their copys of the game. I totally agree with 617 that Nintendo should be heavily pushing this more. Still nothing from Game for me. No email no northing. Anyone else had thier copy from Game arrive yet? I got my copy in Argos this morning no problem, if anyone is looking to pick it up. HMV have also started selling it today!! Just picked a copy up from Smyths, £29.99. @dethmart there is no Nintendo Network Logo on mine either so yes it's genuine. What about dates for eshop? And/or Game store download codes? Received my copy from Shopto.net today so if anyone in the UK still wants it before christmas I think this is the best bet outside of finding it in store somewhere (same day despatch if ordered before 5pm). Ordered mine from GAME on Friday morning and it's shipped today, hopefully arriving tomorrow or Wednesday! Can't blame them! They want Christmas-sales. Releasing it on the second of januari really makes no sense. By that time people are out of money. I managed to get a copy without needing a pre-order from my local GAME store.